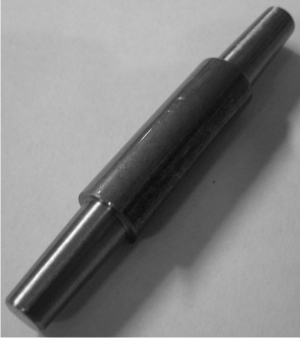 This version is for our Morse type UNIMAT spindles, NOT for original UNIMAT. The MT0 to MT0 version is for our Morse taper UNIMAT spindles. Purpose of that tool: If one wants to machine pieces with a small run-out (high centricity), the work piece must be perfectly center drilled. 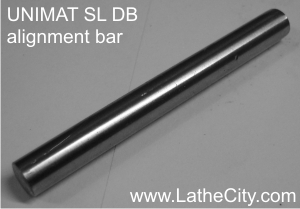 That doesn’t work too easily on an UNIMAT SL DB since the headstock is rotatable and it is only aligned with a pin. Even if that pin is used, one can easily rotate the headstock by a degree or more in both directions. Therefore, finding the correct center line is just a guess. Our alignment bars ("buddy bars") can help to improve on the headstock - tailstock alignment.